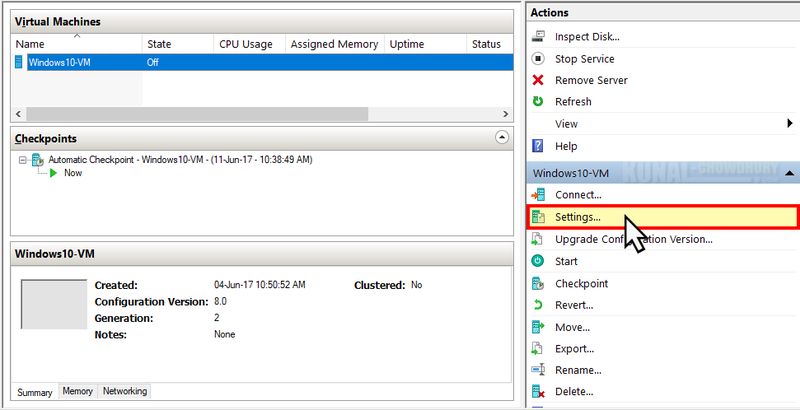 To get started, open the Hyper-V Manager and select the Virtual Machine that we have created for installation of Windows 10. From the right side panel, click on 'Settings'. As shown in the below screenshot, click on 'Add Hardware' link and from the right side panel select 'SCSI Controller'. 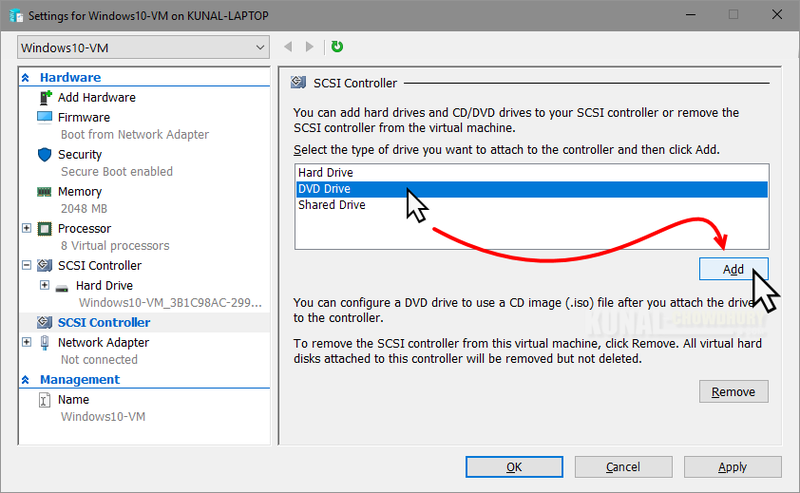 Click on the 'Add' button to add the SCSI Controller to your Virtual Machine. The next screen will allow you to configure your virtual DVD drive to use a CD/DVD image (.ISO File) after attaching the drive to the controller. From the list of controller, select 'SCSI Controller' and then select 'Image file' radio option to select the ISO image file. Click 'Browse' to navigate through your system and choose the ISO image from where you want to boot the system to install the operating system. When you are ready, click on Apply | OK to attach the DVD image (Windows 10 Installation Media, in our case) to the Virtual Machine that we have created. As the Virtual DVD drive has been added to the Virtual Machine and we have mounted the DVD/ISO image of the Windows 10 Installation Media, next post is going to cover how to boot into the said Virtual DVD and proceed to the Windows installation. Till that time, enjoy reading my other articles and blog posts. 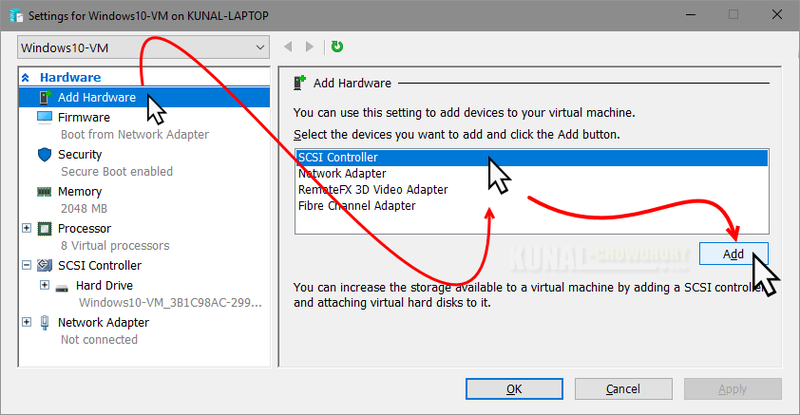 If you have come this far, it means that you liked what you are reading (How to attach a DVD to a Virtual Machine in Hyper-V on Windows 10? ).